This review is not one that has been sponsored. These are items that I have tested out over a period of time in order to give a true opinion of what works and what doesn't. I'm tired of following beauty influencers who give false advertisement as they are sponsored by the brands. So many times I have followed their advice and ended buying a product that was not as magnificent as they described. 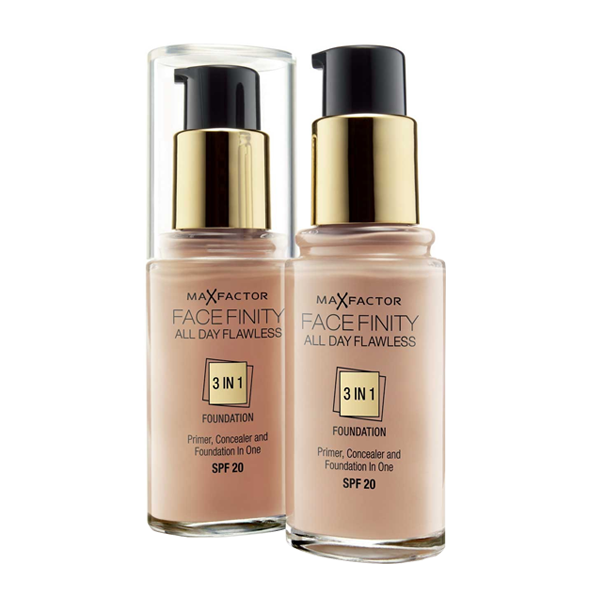 This foundation is by far my favourite because it does exactly what they specify on their site, it holds like a primer, corrects like a concealer with the long lasting finish of a liquid foundation with SPF 20. It really is capable of lasting the whole day and interestingly enough does give that flawless finish we all look for in a foundation. It comes in a variety of 14 shades. I would say it's perfect for combination skin (skin that is part dry and part oily). 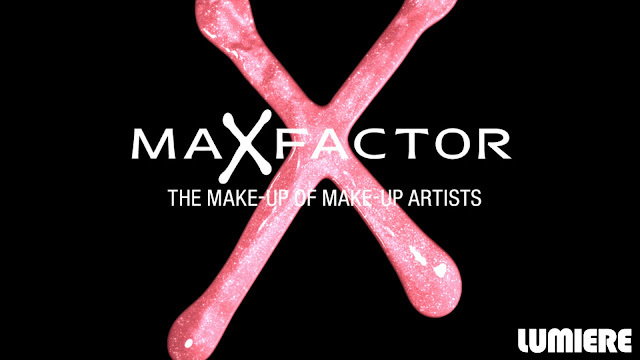 If you have different tones in your skin such as redness or darkness it is full coverage and conceals all imperfections. The incorporated primer gives a very smooth base, which leaves your makeup looking great. The best part of it is that it's nice and light , you won't feel like you are wearing a mask and at the same time covers everything that needs coverage. 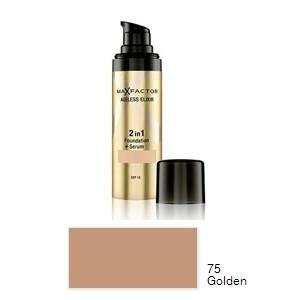 I loved it, I can honestly say it's the best foundation I have tried in a very long time. I can guarantee that it compares to ranges that Dolce&Gabbana, Mac, Bobby Brown and even Givency have with the benefit of it being affordable. What about the weather test? It does great under any weather condition, cold, rain, wind and heat. How many stars would I rate it? I would rate it believe it or not 5 stars out of 5. Amazing. 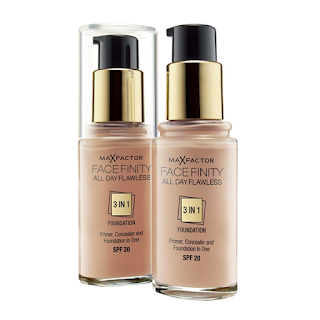 This foundation states to be a 2-in-1 formula which provides foundation and serum with SPF 15. Instantly covers without settling in age-related imperfections and helps protect against UV-induced signs of ageing. It claims to give a smooth and age-defying coverage. Well, it's awful for combination skin, it does cover lines or scars but probably does better on a skin that is dry. If you have any type of oily or combination skin, your face will look very oily unfortunately. It does well in cold or rain but unfortunately fails when it's hot, your makeup will look like you have been in the gym exercising or slightly melted but definitely not flawless. What's the perk in using this foundation? It probably works best on dry and very damaged skin. However, I felt very self conscious with this foundation as to my discomfort when I went for my massage I left my face print on the masseuse's table. Not a pretty sight. Funny but embarrassing. The massage therapist must have thought I caked on a lot of makeup. This foundation is very thick so you will also look like you are wearing a lot of cosmetics. Unfortunately, I would rate it only 2 stars out of 5 for my skin type. However, there is one major positive it's a great foundation to film or photograph with as on film it looks flawless. I like the 3 in 1 better as a concept.